If we compare the 2018 summer season from June to September (Week 27 to week 39), we can see an average price of 1,242 €/kg (1,436 $/kg carcass). 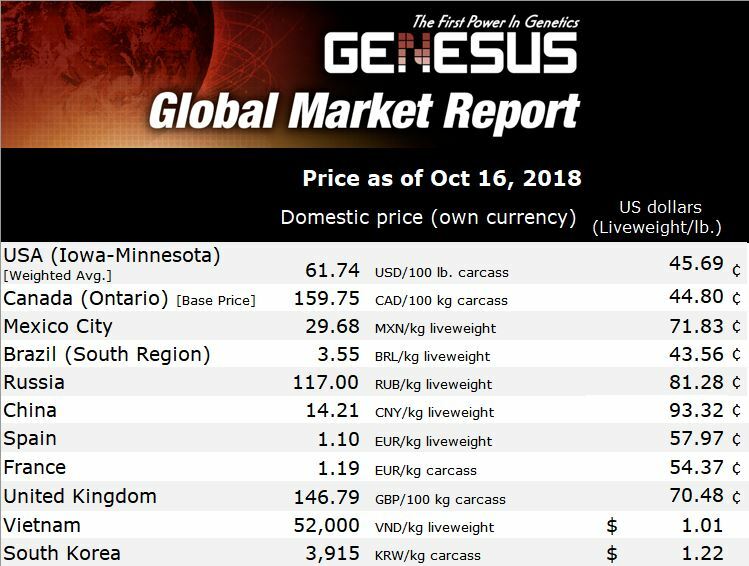 In comparison, last year at the same period, the average price was 1,422 € (1,644 $/ kg carcass), that’s means a 17 € (19,66 $) difference per finisher pig. Average pork price was 1,201 €/kg (1,389 $/kg), on the first 9 months of the year (until October 8th). In 2017, for the same period, price was 0,226 €/kg (0,261 $) higher (1,65 $/kg), that’s means a 21 € (24,3 $) difference per head. For a 200 sows farrow to finish producer, it is about 100 000 € (115 645 $) per year. If ASF continues to spread over other big European producing countries like France, economic impact will be important. Vigilance is required, and the best protection against ASF is Biosecurity. SPACE show celebrated his 32nd edition this year, and stay the main livestock show in France. This year, we have seen a growing interest from producers, but also from the french pig industry (cooperatives, packers) to improve pork meat quality. First of all it is interesting to see today in France we can start to consider to pay producer regarding meat quality and organoleptic criteria for the pork they produce. It was totally unimaginable few years ago. He also said : « a good pork quality is a meat with over 2,5 % intramuscular fat and with a good water retention». A study from INRA, French National Agronomic Research (Lebret 2009) demonstrated that intramuscular fat has a significant impact on pork tenderness and pork juiciness. A interesting question has been asked, because we don’t hear it for the first time : « Is it possible to produce a better pork regarding meat quality, without increasing production costs ? ». An answer has been done by french geneticist Mr Sourdioux : « In theory yes it is possible but it will be a lengthy work to do it ». We are totally agreed with him, it is a lengthy work who can’t be done in a short time. 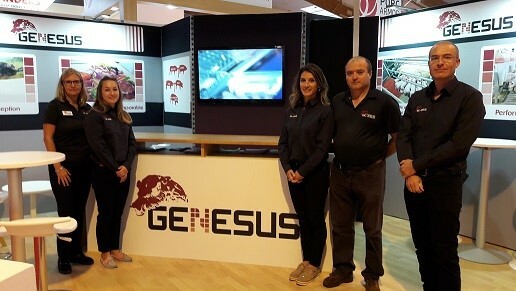 It is why, since more than 20 years, Genesus select his Duroc to obtain an economic pig with a low production cost and a tasty meat, with intramuscular fat ≥ 3 %.